I love the whimsy of Eugenia Kim’s sun hats, so I decided to create an illustration featuring her “Here comes the sun” hat. It’s the start of summer, and the sentiment on this hat perfectly captures that vibe we feel when the whole summer is ahead of us. My version of looking “summertime fine” on the beach is having a floppy hat and a sleek black one-piece at the ready. What are your go to pieces for looking summertime fine? This illustration is beautiful Mikayla! 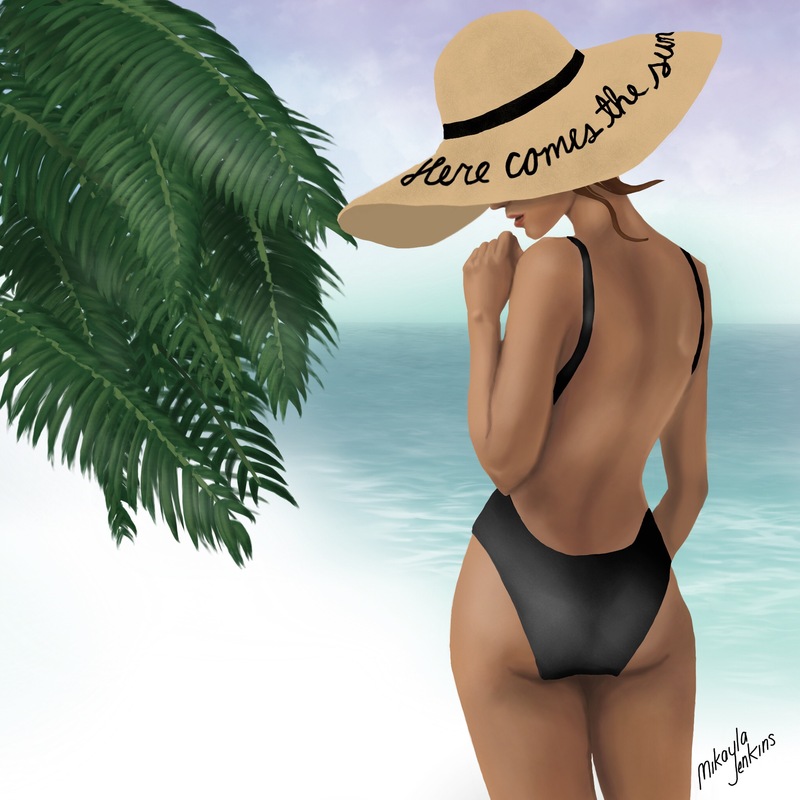 It really captures the excitement of summertime, and I love the wide-brimmed hat, and the details of the water. When it comes to looking after my appearance during the summer, my main focus is on applying SPF and wearing sunglasses to protect my eyes, and the delicate skin around the eyes. I hope you’re enjoying the weather and making the most of the longer days! Thank so much, Saba! You are so on point about the importance of taking care of your skin!